This is easy way to add cute designs to your dominant hand or either hand to avoid redoing an entire nail for one mistake! 1. 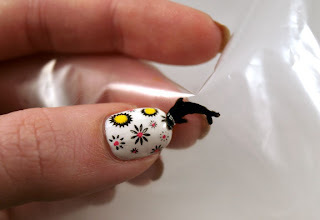 Start by printing a simple scaled down version to fit your nail of the image you want. 2. Place a plastic sandwich bag over the printed image and paint nail polish directly onto the baggy. For this I used Wet n Wild Black Creme with an acrylic paintbrush. 3. 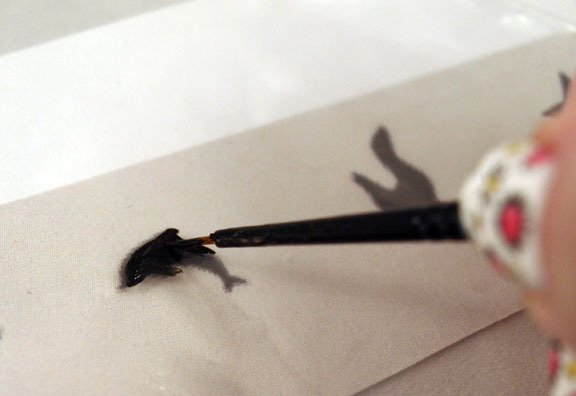 Once the image is filled in, let dry. 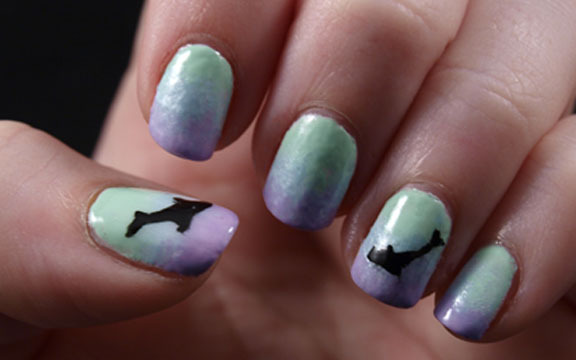 The dry time will vary depending on how thick you apply the nail polish. Using just enough polish to achieve 100% opacity, the dry time was only 10 minutes for me. Gently peel off the image. If it's not peeling easily, let dry a little longer. 4. 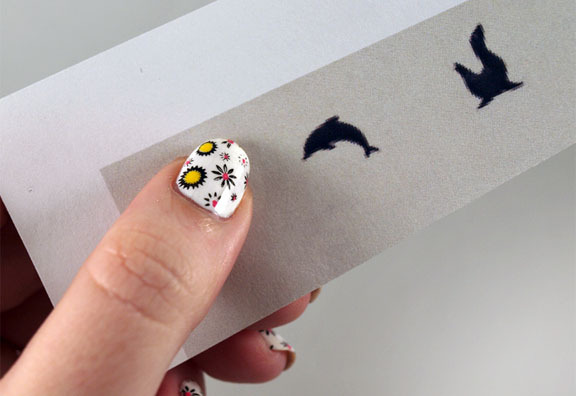 Now you can place the image directly onto your nail. It doesn't matter which side of the image is facing up. Apply a topcoat and you're all done! Be careful, your image may streak if you're not careful applying the topcoat.